Vertical platform lifts (VPLs) are a safe and convenient accessibility solution for an individual confined to a wheelchair, providing assisted access to a raised deck, porch, or floor level within the home. 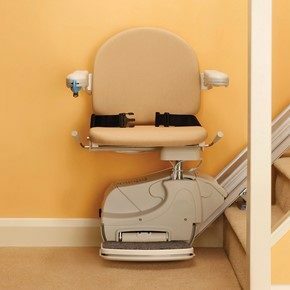 A vertical platform lift carries the person in their wheelchair or scooter, so that no transition to a stair lift seat is required. 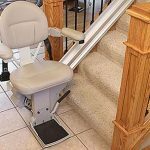 Vertical and inclined platform wheelchair lifts make it possible for a person to continue living a normal life in the comfort of their own home. Garaventa VPLs provide safe and convenient access within the home. They are available in four unique models, the Genesis Enclosure, Genesis Shaftway, Elvoron CPL and Genesis OPAL. The Genesis Enclosure model is a self-contained vertical platform lift which can be installed without a hoist way / shaft way and does not require extensive remodeling. The lift enclosure has an attractive extruded aluminum frame and steel panels, with Plexiglas or safety glass windows. 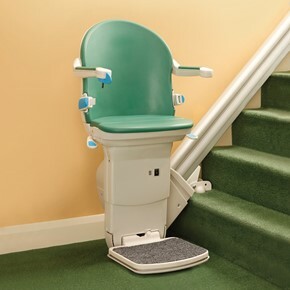 It is rated to carry a maximum of 750 pounds and accommodates a variety of lift heights. The Genesis Shaftway model fits inside of a vertical shaft way (built by others), and can carry a maximum of 750 pounds. 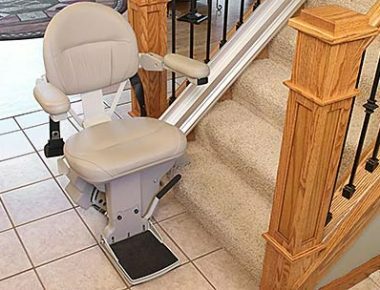 It comes with seven different lift heights, and the hoist way at the top landing can be protected by a gate and 42-inch walls. The Elvoron CPL model is a vertical platform left equipped with a full height cab, and has a small elevator environment, but is much more affordable. 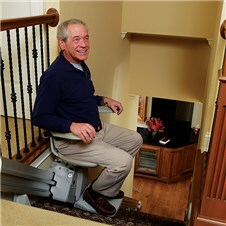 It is designed to provide access for a passenger and wheelchair weighing up to 752 pounds. The maximum floor to floor height is fourteen feet. The Elvoron CPL model is equipped with an hydraulic drive system, 90 degree entry and exit configurations and may travel up to six stops. The Genesis OPAL model by Garaventa is an unenclosed vertical platform lift that can be installed directly on the floor or in a pit, depending on local building codes. The Genesis Opal model of lift is suitable for indoor or outdoor applications requiring a vertical transition of up to five feet. It is a two stop, unenclosed vertical lift that can carry up to 750 pounds, designed for lift heights of 45-inches or 63-inches, and is equipped for 90 degree or 180 degree entry and exit configurations. Garaventa also offers Inclined Platform Lifts (IPLs), including the Artira and Xpress II, which are IPLs that transport an individual in a wheelchair up and down a stair at the same angle as the stair. 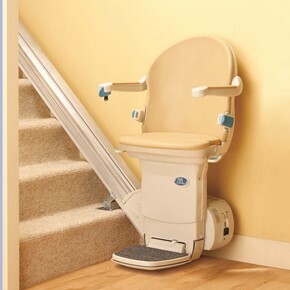 For additional information regarding vertical platform lifts, please contact Atlanta Stair Lifts by telephone at 770 880 3405. 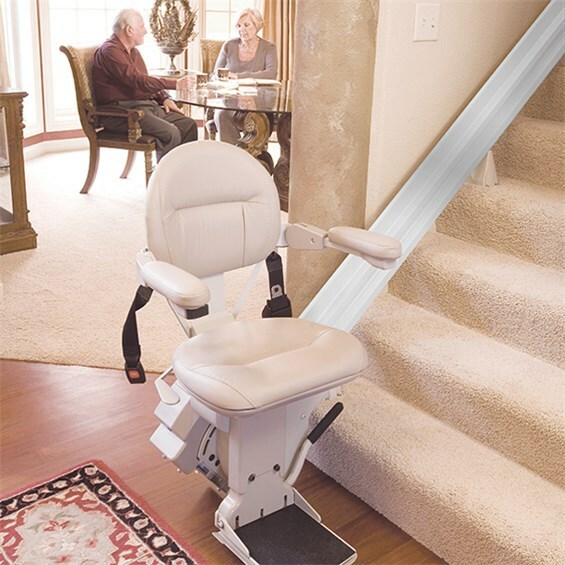 This entry was posted in Outdoor Stair Lifts, Platform Stairlifts, Stair Lift Blog, Vertical Platform Lift and tagged accessibility home and bathroom remodeling Atlanta Georgia, Garaventa Inclined Platform Wheelchair Lift, select a stair lift for your Atlanta or North Georgia home, Vertical Platform Lift (VPL) for Wheelchair. Bookmark the permalink.